Question: What do you call a puppet that refuses to acknowledge its patrimony of woodpulp and ashes? That claims not to feel the tug of the wire at its wrists? Answer: An optimist. But what of his counterpart, the pessimist? The ‘man with a morbid, frantic, shuddering hatred of the life-principle itself?’ (Lovecraft) Does he occupy some loftier position in the kingdom of wood, cloth and string, a perch from which he can gaze down upon this play of absurd passions with — dare I say it? — objectivity? Herein lies the conundrum of the hard determinist, of which Ligotti is fully aware. How to build a case on reason, when reason’s foundations are ultimately no more secure than the sound of wind whistling through cracks in the mortar? Origins are lost to us in the stifling complexity of our causative heritage; we are stuck with who we are, and with what we think we know. Our perceptions have been handed over to us bearing neither manufacturer’s label nor warranty. This being the overriding circumstance in the duchy of puppetry, what is the justification by which we can possibly proceed to make our respective cases? There is none. We push forward — or speaking with a tad more accuracy, perhaps, are pushed — weighing the quality of music issuing from our squeaking joints, as well as that conjured up by our ideological opposites, against the standard of sawdust between our ears. Knowing that we do not know, the knowledge of our ignorance is splayed out against the leading edge of a juggernaut whose engines exist in a realm we’ll never be privy to, even after we’re torn to pieces. 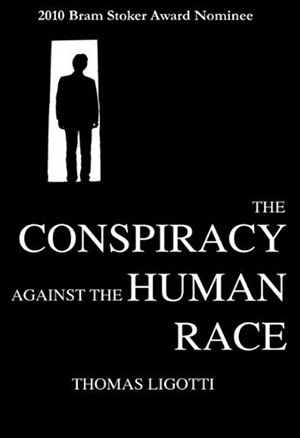 The Conspiracy against the Human Race is a work of non-fiction by Thomas Ligotti, with a forward by Ray Brassier. It is an important contribution to the literature of pessimism, as well as antinatalism; of which, unfortunately, there is a paucity, especially in the contemporary sense. It is sober, insightful, and supports the feeling I’ve always had that fiction writers often have a better hold on reality than philosophers. 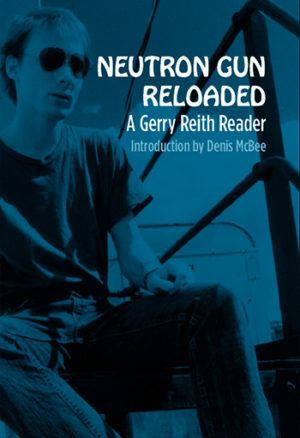 For those interested in the subject, I can’t recommend a better piece of reading material — well, unless…er, never mind.